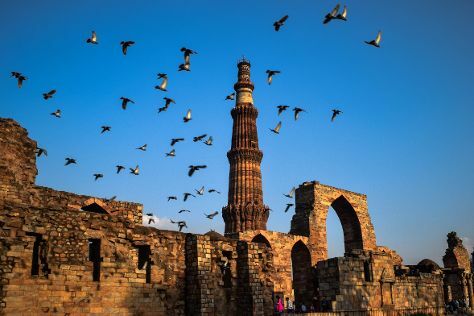 Start off your visit on the 19th (Wed): take in panoramic vistas at Qutub Minar, take in nature's colorful creations at Humayun's Tomb, and then steep yourself in history at Jahanara Begum's Tomb. On the 20th (Thu), you'll have a packed day of sightseeing: steep yourself in history at India Gate, take in the spiritual surroundings of Akshardham, and then see the sky in a new way at Jantar Mantar. For more things to do, maps, reviews, and other tourist information, go to the New Delhi vacation builder site . Ahmedabad to New Delhi is an approximately 3-hour flight. You can also do a combination of train and flight; or drive. In June, plan for daily highs up to 45°C, and evening lows to 32°C. Wrap up your sightseeing on the 20th (Thu) early enough to travel to Manali. Kids will enjoy Manali Picnic Spot and Camps and Himvalley Manali Amusement & Culture Park. There's much more to do: explore the activities along Beas River, take in the dramatic scenery at Jogini Waterfall, admire the verdant scenery at Solang Valley, and contemplate in the serene atmosphere at Hidimba Devi Temple. To find other places to visit, reviews, photos, and more tourist information, read Manali road trip planning website . Getting from New Delhi to Manali by flight takes about 3.5 hours. Other options: do a combination of flight and taxi; or drive. Wrap up your sightseeing by early afternoon on the 23rd (Sun) to allow enough time to travel back home.